Any use of search facilities of CTMLS data on this site, other than by a consumer looking to purchase real estate, is prohibited. Properties provided courtesy of the Charleston Trident MLS Broker Reciprocity Database. Information being provided is for consumers' personal, non-commercial use and may not be used for any purpose other than to identify prospective properties consumers may be interested in purchasing. Data deemed reliable but not guaranteed accurate by the MLS. Hello, I’m interested in 18 Colonial Street and would like to take a look around. The details on 18 Colonial Street: This house located in South of Broad, Charleston, SC 29401 is currently for sale for $1,975,000. 18 Colonial Street is a 3,203 square foot house with 5 beds and 4 baths that has been on Estately for 5 days. 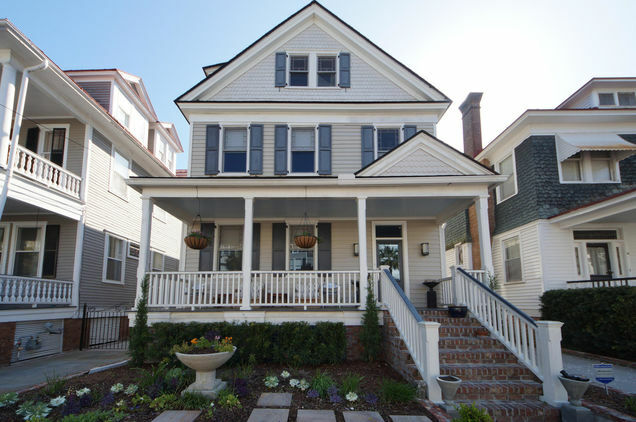 18 Colonial Street is in the South of Broad neighborhood of Charleston and has a WalkScore® of 76, making it very walkable. This house is in the attendance area of Memminger School Of Global Studies: A University Partnership School, Burke High School, and Simmons Pinckney Middle School. Listing Courtesy of: Carolina One Real Estate.